George Makrinos is hygienist – public health supervisor with postgraduate specialization in public health (2007-09) from the National School of Public Health. He has been a lab assistant- application professor in the department of Public Health at TEI of Athens (1985-2002). He works as external associate in the sector of Professional and Industrial Hygiene at National School of Public Health. 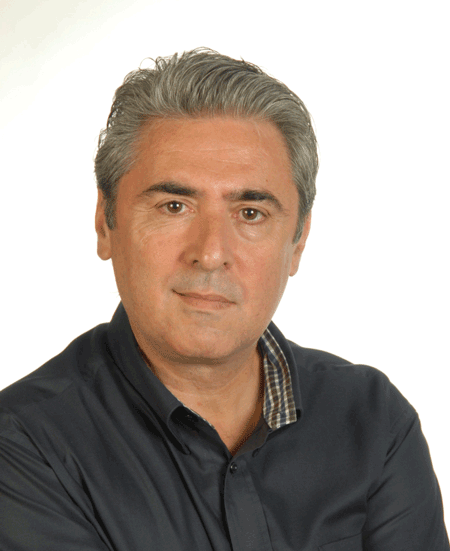 He is President of the Panhellenic Union of Public Health Supervisors, President of the Organisation of Sports & Culture in the Municipality of Korydallos, Vice President of the National Health Network of Cities and Health Promotion. He is also member of the General Assembly of the Regional Association of Municipalities of Attica and member of its Committee of Social Protection, health, solidarity, equality and inclusion. Finally, he is city councilor in the Municipality of Korydallos, in charge for the immigration policy.